The Africa Twin name is a legendary one in the Honda stable. The bikes dominated the Paris-Dakar Rallies in the 1980s, and now they’re back in high-tech modern form. 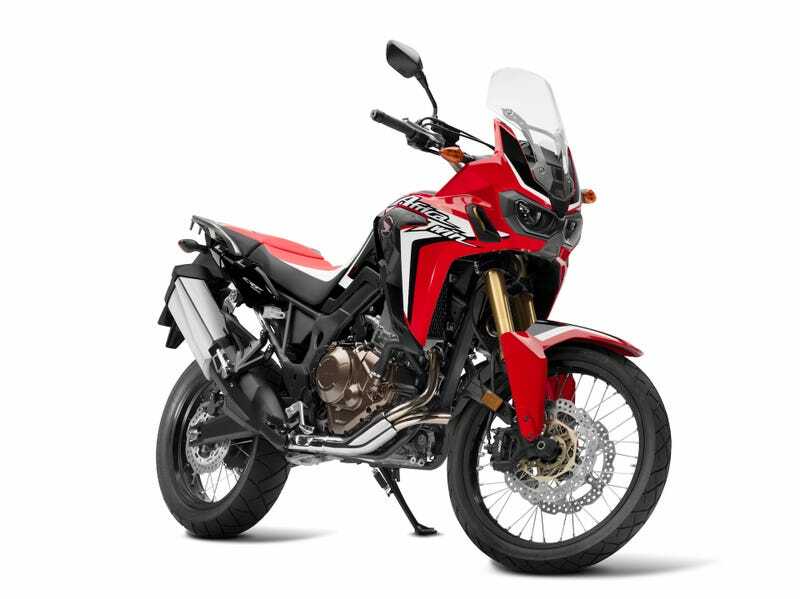 And priced to compete, too: Honda announced today the new CRF1000L Africa Twin will start at $12,999. That climbs up to $13,699 if you opt for the Africa Twin’s fancy new dual-clutch transmission, the first such gearbox on a bike suited for off-road duty. Both models come with ABS and traction control standard. That’s priced right in line with the Suzuki V-Strom 1000, and a lot less than some expected. If it’s really the KTM/BMW off-road fighter that Honda claims it is, it’s going to be something to look forward to.